With his third film, Sightseers, director Ben Wheatley has clearly defined his wheelhouse. He makes surreal, darkly comic, horrifically violent tales about ugly people doing terrible things. 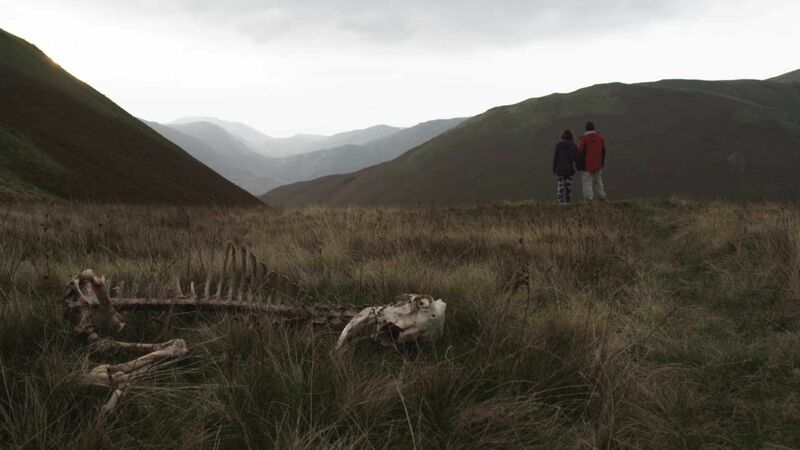 The humor slightly faded in his last film, the twisted thriller Kill List, but Sightseers returns him to the pitch-black comedy of his debut feature film, Down Terrace. This time, instead of giving an emotional bubonic plague to the platonic family, Wheatley fiercely savages the banality of relationships growing out of the puppy-love stages and into something serious. For the two lead characters in Sightseers, the relationship grows into something seriously demented and ruthlessly perverse. Tina (Alice Lowe) and Chris (Steve Oram) are going on their first trip together as a couple. They’re still getting to know each other, but they have a fun week ahead of drving a camper around the British Isles, and going to such exotic locations as a viaduct and a pencil museum. They would be the most boring, sad, pathetic people in the world except Chris has a minor secret: he’s a serial killer who takes out anyone who makes him feel the slightest bit insecure. As for Tina, she’s already insecure and desperate for Chris’ approval, so murdering innocent people isn’t necessarily a deal breaker. So the couple may be sad and pathetic, but they’re certainly not boring. Wheatley takes Lowe and Oram’s script and revisits the territory he visited with Down Terrace. Like Wheatley’s 2009 film, Sightseers takes what should be a safe and loving relationship, replaces it with a cancerous growth of paranoia and resentment, and then magnifies this corruption to the point where it becomes comically grotesque. This replacement and enlargement makes the situations and characters become surreal, but Wheatley always wakes us back up with immediate, unflinching, and unrelentingly brutal violence. The film practically spits venom at the shallowness of its protagonists. “We don’t care about being fair,” Tina whines at one point. “We care about being happy.” Fans of Falling Down will spot the thematic similarity between the 1993 Michael Douglas movie and Sightseers’ two characters going to extreme measures when greeted with any crack in an idealized experience. For Tina and Chris, being made to feel inadequate is a crime richly deserving of agonizing, skull-crushing death. But they are in adequate. They’re sad, lonely people who have found each other, but are still rotten inside. They’re worse than mundane and they’re an insult to ordinary. Acts of large, disturbing murder conducted by such small, insignificant people is inherently comic and Wheatley, Lowe, and Oram take devilishly glee in seeing how decidedly fucked-up they can make their characters. There’s a grand sense of escalation as the movie refuses to coast on simply having Tina and Chris murder someone in between museum trips. It’s a fun dichotomy, but the filmmakers work for something greater by trying to find a mirror in the wreckage of these callow, deplorable excuses for human beings. It’s rewarding to see a director clearly stake out a bold and fresh identity in the span of only a few films. I believe Ben Wheatley will continue to evolve as a director, and he’s already growing from a fascinating starting position. He holds up an image, then distorts it, breaks it, mutilates it, and hands it back to us. We cringe because we can still see ourselves in the ugliness, and yet we have no choice but to laugh because sometimes absurdity is the only escape from the repulsive.